Try the Belgian Poutine at Stella's on cambie and 17th or so... It's amazing, almost like a fruity gravy. tenderloin jus . . . so good! made my Quebec heart weep. And I think whoever invented poutine might've spun in their grave. Costco Poutine!!! Seriously for the price they have pretty decent poutine. The curds actually taste like cheese and not soft rubber. chambar's poutine a la belge! i never knew costo had poutine! gotta try it. 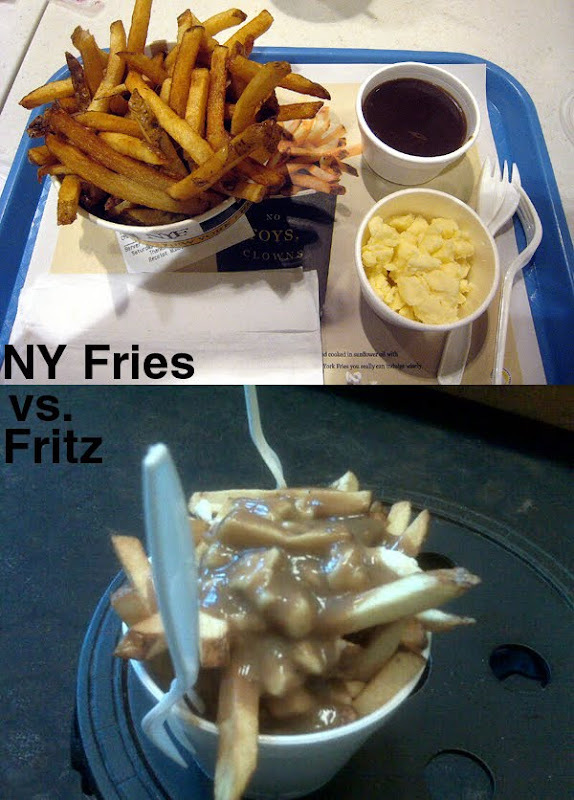 I love NYF poutine though, oddly, for mall food it's pretty damn tasty. 2nd plc: Zako's Deli @ B.Way&Cambie. ZAKO'S DELI poutine is AMAZING. on broadway and cambie, right next to the fresh slice pizza on broadway. it's got a little pickle on the sign. really damn good! they also have really good montreal smoked meat! I had very good poutine recently at the newish Pivo Public House (Tinseltown). Thin, crispy(!) fries with thick, silky gravy and pulled pork. My only issue was that it was a little too salty. Pivo also serves a classic version and an Italian one. The latter has no gravy, so not poutine by my definition. no way. new york fries gravy is whack. why is it so dark and beefy? you'll never find a gravy like that in quebec. ce n'est pas authentique. Isn't dark because it is beef gravy and not chicken gravy. Zog's in Whistler village has seriously good poutine. Worth a trip to the mountains. I am from Québec and I have to say, I have yet to find a poutine that even rivals Au Coq. BC is a horrible province for poutine and I dare anyone to prove me wrong. What they have here is not even good enough to be a joke.